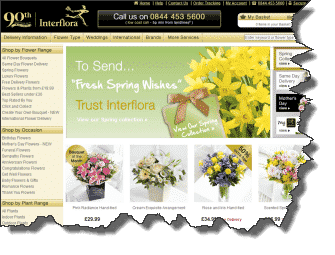 Interflora is the world’s best-known brand for sending flowers; indeed, you have probably used it to send flowers to a loved one, or as a gift. So you would expect that if you searched for the word “interflora” on Google it would come up as number one on the list. And that was indeed true for years – until last week. Now if you search for the word “interflora” it is 13th on the search results – not even on the first page. Interflora also held the number one spot for the word “flowers”; now the company has dropped, overnight, to 49th position for that word. So what has happened? Why has the Interflora brand been hit by the powers-that-be at Google? Simple. Interflora wasn’t playing the game by Google’s “rules” – rules, of course, which Google doesn’t actually tell us because they are part of their intellectual capital and therefore if we knew them they’d lose their competitive edge. There are all sorts of speculative rumours on SEO websites and forums as to what Interflora did wrong. But what is commonly accepted is that Google penalised Interflora for some misdemeanour, probably to do with the way it was getting links. But whatever the issue, it is a reminder that “techniques” and “methods” of getting noticed by Google can sometimes cause us problems. What Google wants is our websites to be “natural”; indeed that’s what human beings also want. It means that the best SEO “technique” is simply to produce quality content and then let people link to that naturally, recommending it on social networking sites for instance. True, there are other “techniques” which SEO experts can prove to work. But what those SEO experts don’t know is just when Google will decide “enough is enough” and pull the plug on your search engine positioning. For Interflora, they are big enough to pay their way out of the situation using Google AdWords more, until their organic search position is restored. But if you are a smaller brand than Interflora could you afford to lose search engine ranking places, dropping from number one to the fourth page? And could you afford to buy advertising to get you out of that hole? In other words, just add engaging content….! If you to decide to play SEO tricks someone may have to send you some flowers from Interflora to cheer you up when your site is demoted by Google.